UCB has carried out active flight operations for NASA-funded astronomy and space science missions since the mid 1990s. 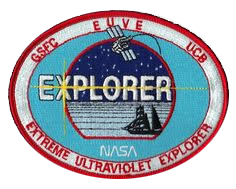 The first mission was the Extreme Ultraviolet Explorer (EUVE), launched on June 7, 1992. Mission operations for EUVE were initially conducted at NASA/GSFC, and science operations at UCB. Outsourcing of full flight operations from GSFC to UCB began during the extended mission phase in April 1996, and was completed in March 1997 after a long period of parallel operations with a thorough verification of the UCB operations environment. This was a rather ground breaking achievement as it was the first time a university was entrusted with the responsibility to carry out full operations for a NASA mission. From this point onward EUVE was successfully operated from its dedicated mission control center at the Center for Extreme Ultraviolet Astrophysics (CEA) in downtown Berkeley for nearly four years until mission termination on January 31, 2001. Meanwhile, science operations were also carried out at SSL for the Fast Auroral SnapshoT Explorer (FAST), a NASA SMEX mission launched in August 1996. One year later, SSL was awarded a contract for a second SMEX mission – the Reuven Ramaty High Energy Solar Spectroscopic Imager (RHESSI). This contract included all flight operations to be conducted by UCB from the moment of payload separation at launch. It also included the establishment of a local Berkeley Ground Station (BGS) to allow for spacecraft commanding and science data recovery. Additionally, UCB proposed to NASA to transition flight operations for the extended mission phase of FAST from GSFC to SSL. For this purpose, a new multi-mission MOC/SOC was then established at SSL in 1998 to provide full flight operations support for both FAST and RHESSI. The latter launched in February 2002. 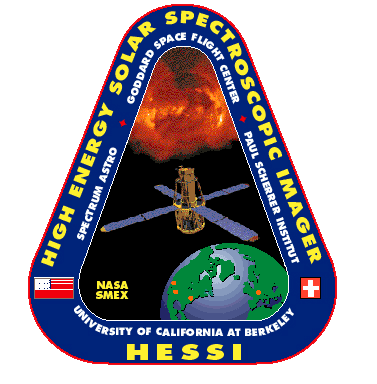 The next mission supported by the MOC/SOC was the Cosmic Hot Interstellar Plasma Spectrometer (CHIPS) – a NASA UNEX mission, launched in January 2003. A very significant step-up in expansion of the MOC/SOC and its capabilities, and in challenges for the operations team came in February 2007 with the launch of the Time History of Events and Macroscale Interactions during Substorms (THEMIS) – a NASA MIDEX mission involving five spacecraft called probes that were launched on a single Delta II launch vehicle. The five probes – THEMIS A-E – were subsequently maneuvered into synchronized, highly elliptical, nearly equatorial Earth orbits with periods of one, two, and four days to form conjunctions inside the Earth’s magnetospheric tail. For the extended mission phase of THEMIS, beginning in fall of 2009, the Project was split into two parts. THEMIS-Low was a continuation of the THEMIS mission with three of the five probes (THEMIS A, D & E) in one-day period orbits, but maneuvered into a closer formation at apogee. The other two probes (THEMIS B & C) were transferred from Earth to lunar orbits via low-energy transfer trajectories to start a new mission, called Acceleration, Reconnection, Turbulence and Electrodynamics of the Moon’s Interaction with the Sun (ARTEMIS). To date the UCB operations team designed, planned, simulated and executed more than 760 thrust maneuvers across all five THEMIS/ARTEMIS spacecraft, including V maneuvers with magnitudes of 1 cm/s to 300 m/s, attitude precession and spin-rate control maneuvers. Maneuver calibration and fuel bookkeeping methods were significantly refined and improved over the course of the mission to meet the challenging requirements associated with maneuvering spacecraft that were not designed to leave Earth orbits, but were now to travel along sensitive translunar trajectories. In late 2007 UCB/SSL was invited to provide all mission operations functions for a third SMEX mission, the Nuclear Spectroscopic Telescope Array (NuSTAR) while Caltech as the PI institution manages the SOC. The UCB operations team worked closely with the spacecraft vendor during the spacecraft bus and observatory AI&T phase, and contributed an integrated system of ITOS workstations, as well as personnel support for development and configuration management of telemetry pages, STOL scripts, and command/telemetry dictionaries. UCB also provided ITOS workstations to Caltech to support instrument development. Overall, the UCB team clocked 1,740 hours of on-console operations prior to launch. NuSTAR launched on June 13, 2012. Following launch and on-orbit commissioning, the MOC receives target pointing and exposure requests from the SOC, processes these and uplinks corresponding sequence tables to the observatory multiple times per week. 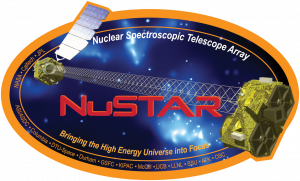 UCB performs all network scheduling functions, as well as flight dynamics, Level-0 processing and engineering data trending and analysis functions for NuSTAR. In April 2013, a second MIDEX mission, the Ionospheric Connection Explorer (ICON), was awarded to UCB as the PI institution. Responsibility for implementing and operating the entire ICON Mission Operations System (MOS) resides within the Operations Group at UCB/SSL. The MOS consists of the MOC, the SOC, and the Science Data Center (SDC). ICON will be the eleventh NASA Explorer spacecraft operated from UCB/SSL. UCB/SSL provides all flight dynamics and communications network scheduling functions for all of the supported missions in an integrated multi-mission environment. A summary of all missions supported by the MOC/SOC at UCB/SSL is given in the table below.